First off, I hope you had a great Christmas and New Year and have been busy using all your sewing related gifts!! You might have noticed I’ve been a bit AWOL of late? Or maybe you haven’t and I just have a very high opinion of myself! Either way, obviously the Christmas festivities coupled with trying to get all the stock together for the shop opening has left me in a bit of a tizz! Not content with this, I have also taken a trip with the hubster to the N to the Y to the C to spend the New Year and visit my sister. 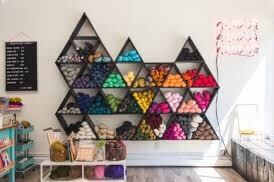 However, not one to miss an opportunity, I am using the trip to visit various craft shops to check out if there are any new products on sale over here, but primarily to get shop-vibe inspiration! My sister has recently moved to Brooklyn so she’s been showing me round a few shops nearby which I’ve never been to before, namely Brooklyn General Store, Brooklyn Craft Company and Woolyn, which was not really my bag as they only sell wool (hence the name!) but I got the jist of the general vibe of the shop, which was the aim. Out of the three, Brooklyn Craft Company was my fave. I liked the display layouts; everything had its place and it certainly wasn’t an Aladdin’s cave, which was good. As controversial as it maybbe to some people, I’ve never been a fan of the Aladdin’s cave as I don’t like having to rummage through loads of things to find what I want. 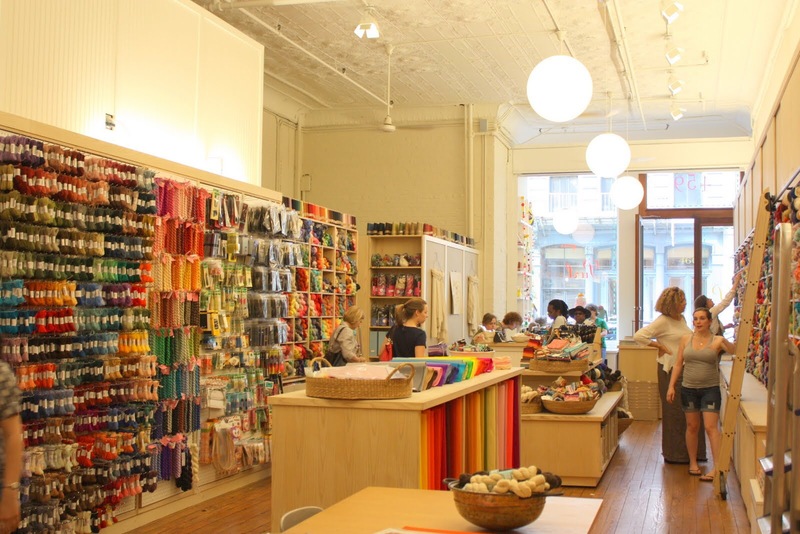 As standard, I also visited Purl, SoHo which is basically my place of worship. I first went many moons ago and it was going there which inspired me to open my own shop. So Purl, I thank you, and hopefully the people of Kirklees will thank you as well! Purl stock both knitting and sewing supplies and like Brooklyn Craft Company, everything is set out very orderly and they manage to cram loads in, especially for somewhere relatively small. One thing all the shops had in common was the excellent range of workshops available, which is definitely something I’ll be looking to offer once I find my feet. In fact, the wheels are already in motion, so watch this space! Anyway, must dash – there’s an Old Fashioned at the bar with my name on it! !